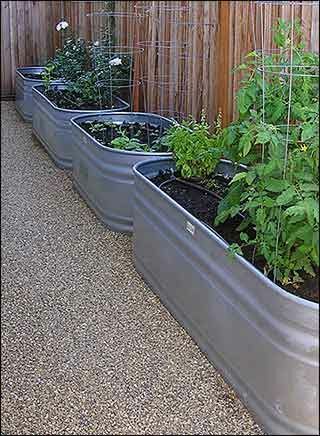 Galvanized water trough vegetable garden, great for urban gardening! The general consensus is that it can be done, it's relatively easy and as compared to buying and sealing wood, can, at times, be comparable in price. The only down side is that you are limited in the size you can have, whereas with wood, you can make any size or shape you wish.